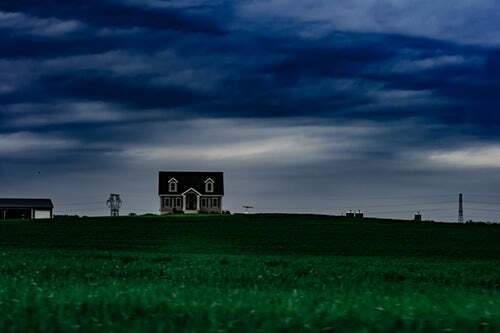 Despite decelerating home prices, Canada’s housing market is still considered “highly vulnerable” according to a recent Housing Market Assessment (HMA) by Canada Mortgage and Housing Corporation (CMHC). The HMA, which measures four main factors that contribute to housing market volatility (overheating, price acceleration, overvaluation, and overbuilding), has continued to indicate a high degree of vulnerability at the national level. 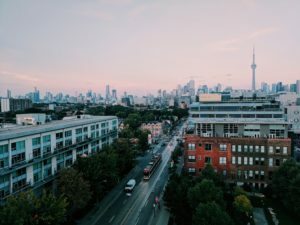 According to the report, while housing prices have become more in line with housing market fundamentals such as income, mortgage rates, and population, four markets (Toronto, Hamilton, Victoria, and Vancouver) are still considered to have a high degree of overall vulnerability due to conditions of overvaluation. CMHC also points out that there continues to be overbuilding in markets such as Edmonton, Calgary, Saskatoon, and Regina, where inventory of new buildings is higher than the average numbers. 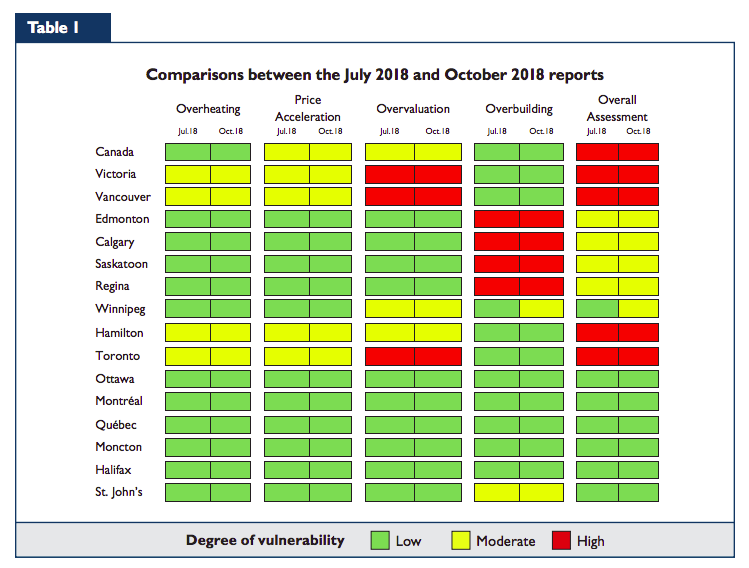 Of all markets, Winnipeg’s is the most concerning as the inventory of newly completed (but unsold units) have increased drastically over the past two quarters, and as a result, has the degree of overall vulnerability changed from low to moderate. Nonetheless, the report suggests that overvaluation is slowly beginning to ease for Canada as stricter mortgage rules, rising interest, and slower income growth come into place. These factors have led to a reduced demand for housing, which in turn, has led to fallen house prices. “While conditions are easing, a longer period of improved alignment between house prices and fundamentals is required for overvaluation to be deemed low at the national level,” the report reads. While overvaluation and price acceleration may be high for Canada, evidence of overheating and overbuilding are relatively low when averaging all the Canadian markets. Stricter mortgage rules, which came into play at the beginning of the year, has dampened the overheated Toronto market. Interest rates have continued to rise, with the latest hike occurring last week, to 1.75 per cent – the fifth hike since the summer of 2017. The central bank rises interest rates to keep the economy from overheating, hence the low evidence of such a market for Toronto. 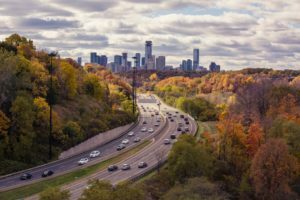 Overall, while Toronto’s market is earmarked as vulnerable, it is beginning to ease when comparing to the same time last year.